College students are always on the lookout for an edge when it comes to their studies. That’s why it has come as no surprise that technology has been so readily adopted by students to aid them in their classes, from studying for a test to producing quality media content. In fact, tablets are changing the way students take college classes forever. Perhaps the most popular use of technology in universities today is for note taking. If you take a walk through a college lecture hall, nearly every student will have some form of computer in front of them in class. Some of them are probably wasting time on Facebook or Reddit, but most of them are taking advantage of the efficiency that studying with technology can bring. Increasingly, students are turning to tablet computers to take their notes in class. It makes sense that tablet computers have become popular note taking devices. They can be intuitively used as paper, often have an option for keyboard or stylus use, and are incredibly portable. In college, all of those features are vital for young people. If you’re in the market for a tablet for note taking, it can be difficult to decide which one to purchase. There is a huge range of prices, features, brands, and sizes out there, and choosing can certainly cause some anxiety. Fortunately, we’ve done the hard work for you and compiled this guide of the top five tablet computers for taking notes. The five options discussed here are all outstanding machines, and which one you decide to purchase should be based on which features you deem most important to you. Overall, we chose the Apple iPad Pro as the superior note taking tablet. It’s user functionality, combined with an unmatched quality of hardware, proved to be the perfect recipe for a note taking tablet. Some may prefer other operating systems, other functionalities, or want a more budget machine, so you should read through the other choices–because they’re great as well. To decide exactly which tablet was the best for note taking, we had to look at the many outstanding products that have been released in the last year. Price was only one of our criteria, so if you’re looking for a more budget friendly option, you should look at our piece on the best tablets under $200. 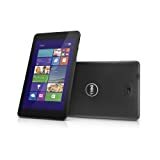 There are some tablets on this list that are affordable, but we primarily focused on other things. The features below, in descending order, were the most important when we were choosing our final winner. Although there may be other aspects of these tablets that are important, we found that these five were the most indicative of the best note taking tablet. These features determined which of all the tablets we looked at would take home the top prize. Having a reliable and efficient tablet is so vital when you’re relying on it for school. We did all the hard work and found out the five best tablets to trust your education with. When considering a tablet to use for taking notes in class or a business meeting, we determined that the most important feature to take into account was its processing speed. Processing speed is literally what’s under the hood of your tablet computer. The performance of your machine is only going to be as good as its components, so a tablet that sacrifices quality processors is not going to be a good overall computer. The simple act of note taking may not require a sophisticated hardware setup in a computer, but school often requires far more than that. Speaking from personal experience, the use of a computer for school related work includes running an internet browser with multiple tabs, word processing programs, slideshow programs, videos, and more–often all at the same time. Nothing is worse than being in the middle of an important study session and having the most vital educational tool you own fail. Having a machine that can tackle any task you may be faced with is vital, especially in today’s universities where teaching with technology is becoming so common. If your tablet doesn’t have good processing speed, it really doesn’t have anything. That’s why we placed it at the top of our feature considerations when deciding which tablet was the best to take notes with. When it comes to taking notes in class, it’s important that your tablet lets you input your notes in an easy and intuitive way. The best tablets for taking notes will have the capability to be used with a high quality stylus or keyboard. While touch screen tablets are great, the keyboards on them are not the best for efficient, fast typing. That’s why the ability to use a stylus or external keyboard is very important when considering which tablet to buy to use in class. Another vital feature for a tablet computer is a high quality screen. Nobody likes using a tablet with a poor resolution, low brightness, or bad color. We want you to take notes on a screen that has colors that pop and are vibrant. If your tablet has a stylus, it’s also important that the screen is capable of taking a few scratches. Tough glass and anti-smudging coating are other factors of good screens on a tablet. The cutting edge of technology is certainly not cheap, but we definitely considered price when we selected the best tablets for note taking. Obviously, the highest quality products are going to be more expensive. But we selected five tablets that we believe offer an incredible amount of value for the money that they cost, and when you read these reviews, we think you’ll agree. The quintessential feature of a tablet computer is its portability. After all, if we didn’t care about that, we would just carry around bulky laptops or stay at home on our desktops! The best tablet for taking notes in class will obviously be very portable. Not only that–we looked at the durability and quality of the materials that went into making the machines, too. After careful consideration, we decided that the best tablet out there for taking notes is the Apple iPad Pro. Although you can’t go wrong picking any of the tablets on this list, the iPad Pro really blows away the competition when it comes to our selection criteria. First, we took a look under the hood. The iPad Pro runs on iOS and has a Apple A9X Dual-core 2.26 GHz CPU and 4GB of RAM. This thing is speedy–no matter what you throw at it, it runs smooth as silk. Multiple browser tabs, multitasking, word processing, and watching videos are all simple tasks for this machine. Where the iPad Pro really shines is its input accessories. The Apple Pencil, sold separately, is an extremely high quality stylus that is designed to go with the iPad Pro. It features pressure sensitivity and angle, so you have a ton of control when using it. Not only is it great for note taking, but your Apple Pencil can be used as a digital art tool as well. The rapidly growing digital art media counts the iPad Pro as one of the top products out there, and we think you should as well. To top it off, there is a plethora of third party keyboards that you can use with your iPad Pro to make it function as a traditional laptop. You don’t need them though–the iPad Pro is intuitive and a breeze to use. Perhaps the our favorite part of this machine is the screen. It has an unreal resolution of 2732 x 2048 pixels, the best on this list. The color calibration is amazing, and it even dynamically adjust to respond to changing light in the room you’re in. The iPad Pro’s screen is simply unmatched. Now, Apple products certainly aren’t known for their low prices. Although you do have to buy the Apple Pencil separately, we still think this machine is well worth the price. With different storage options and screen size options, you can tailor which model you buy with your particular budget. The price is also worth it because of the value the iPad Pro brings. It can easily replace your existing tablet and laptop, and think about how easy it is to carry around a single product instead of binders of notes! That goes into our final consideration–the portability. Apple has done it again with the iPad Pro. They created a beautiful product that fits in a high quality, thin, attractive casing without sacrificing on performance. This tablet is truly the gold standard in design. The Surface line of laptops and tablets has been one of Microsoft’s most successful ever, and for good reason. They are just simply quality machines, and the Surface Pro 4 is no different. It has many different models so you can customize it exactly the way you need. It’s processing speed has the potential to be amazing–you can get as good as an Intel Core i7 with 16GB of RAM if you’re willing to pay a little extra. So naturally, this thing can handle whatever you throw at it. It has an outstanding screen as well, with a resolution of 2736 x 1824, almost as good as the iPad Pro. The included Surface Pen makes the Surface Pro an intuitive note taking machine, and you’ll definitely be happy with your purchase. This tablet was definitely a close second. If you’re the type of person that likes Windows more than iOS and you’re willing to pay a little extra, you may want to consider purchasing the Surface Pro 4 instead. Samsung also has a history of releasing fantastic products. The Tab Pro S is definitely one of those products. It’s Intel Core m3 processor and 4GB of RAM are more than enough to make this a bona fide computing heavyweight when it comes to tablets. This tablet also makes use of AMOLED screen technology, and has brilliant color calibration with a great resolution of 2160 x 1440. Where the Tab Pro excels, though is it’s outstanding full size keyboard. You’ll think you’re using a full size laptop! With both a black and a white option, the Android powered Tab Pro S is an affordable, stylish and incredibly solid note taking tablet for any college student. The MateBook SE is a fantastic machine with more of a business-like feel. It’s 6th Generation Intel Core m5 processor and 8GB of RAM are certainly no slouches, and it even features a fingerprint security scanner. It’s compatible with Matedock accessories which make a wide variety of input devices compatible. The best part about this product, though, may be its portability. This machine is 6.9mm thick, weighs less than two pounds, and is incredibly sleek and portable. It’s a little pricey, but the Huawei MateBook SE will certainly turn heads when you’re using it. If you’re a Windows-inclined user and are willing to pay a little extra for some flashy features, this could be the tablet for you. This tablet is great for the more budget-conscious readers. Coming in at less than 400 bucks, this tablet is still capable of being a fantastic note taking helper. Although the screen size is small at 8 inches, it has 64 GB Flash Memory and 2GB of RAM, and is perfectly capable of handling note taking and other class related functions. It’s compatible with the Dell Active Stylus and a wide array of keyboards, so it’s very versatile. And while it may not be the most ergonomic and good looking tablet on this list, it’s perfectly passable. The Venue 8, overall, is a great machine for those on a budget. When it comes to your education, you have to really be sure you’re getting quality machine. Hopefully, we’ve made the decision a little easier for you by writing this guide. All five of the tablets we listed here are more than capable of taking your notes to the next level. In the end, when we looked at our five most important features, the Apple iPad Pro was hands down the best tablet out there for a university student looking to take notes. You can’t go wrong with any of these tablets, though. The wave of technology has overtaken the world of higher education, and you’ll be happy to be the owner of any of these amazing machines.